The death of a ferret. The Ferret aka Yuuno Scrya, can truly be said to be one of the greatest enemies of any Nanonut. Those who wish to find out how Sinful the ferret is, might want to watch the series. 17 March 2010 – Shazzsteel’s humble abode . Firstly, secure the ferret onto a nice stone swordlike thingy. SMASH IT ON THE WALL!! Other ways include: CHOPPING OFF ITS HEAD!! iPhones belonging to those who went to “YAY!! !” when the ferret died. This entry was posted on March 22, 2010 by zh3us. 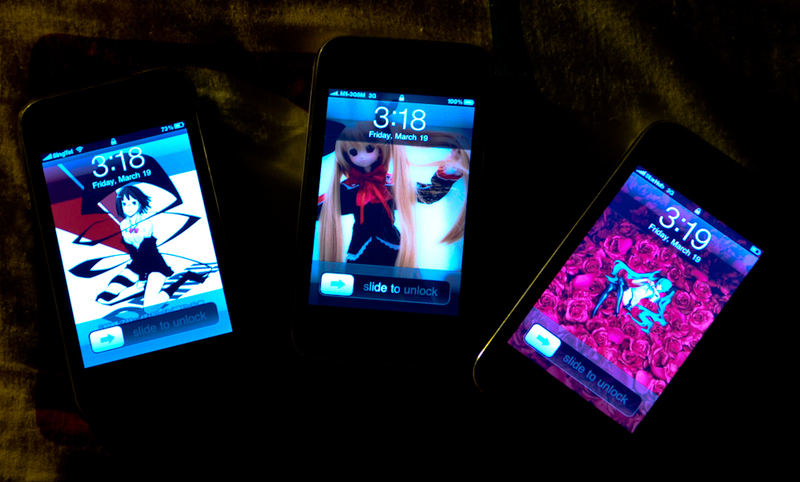 It was filed under Indoor, Room and was tagged with berserker, die, ferret, iPhone, kill, Nanoha, Shazzsteel, Shiki, shiro. Urr… No endless stream of bullets to the said ferret? Creepy is the new win^^; More continuations about life of the ferret in hell (Bullets will come there). Wait later SPCA comes after you. LOL Who’s shino is that? Nah, this is not hell yet. Just killing him so that he can go to hell. wat did that poor ferret do??? no, I didn’t say yay. say no to animal abuse! Hmm…. How about you try this? That ferret had it coming.